Adidas Honey Hi's trainers - for cosy toes! 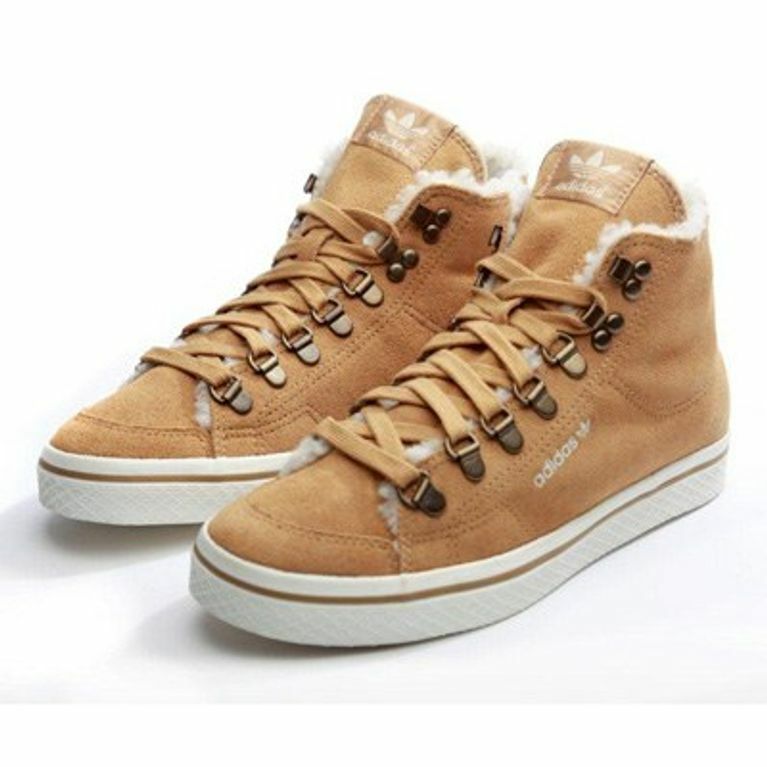 Home / Fashion / Fashion News / Adidas Honey Hi's trainers - for cosy toes! Since we confirmed that Uggs were officially fashion suicide we've been on the look out for another comfy casual shoe that will keep our tootsies warm - without sabotaging our style credentials. And we've found just the thing with the Adidas Originals Honey Hi's trainers - their urban style and beige shade means they will add a ghetto edge to our dresses and jeans. But it's their fleece lined interiors that we're really excited about - there's nothing better than cosy toes in winter. Plus we like to think the 80's sneaker never really went out of style - and never will - so you can depend on these to keep you looking like one cool kid - much more than any Uggs of old. The Badass Street Style Outfits We Want To Own Stat! Cosy winter fashion: Stay warm!